Union Tribal Affairs Minister Jual Oram on Saturday dedicated the newly constructed Rev. Fr. D.J. Wollaston (Annexe) building of the St. Anthony’s College in presence of Meghalaya Chief Minister Conrad K. Sangma and Chairman Meghalaya Planning Board Lambor Malgniang. Inaugurating the newly constructed building in the college campus, which has digital learning centre, Oram congratulated the College for providing exceptional education service for the students of Meghalaya in particular and for the Northeast. 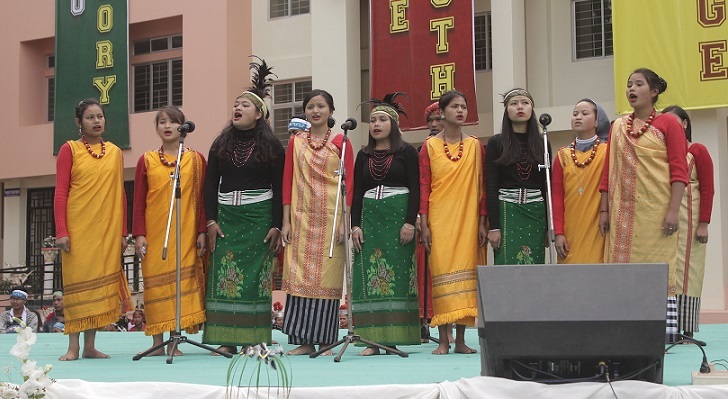 Jual Oram termed Meghalaya as a new economic power and stated that education system of the State has been very instrumental for its steady growth. “The educational institutes including St. Anthony’s continue to provide quality education not only for the present generation but also for the posterity,” he added. He also informed on the role of Ministry of Tribal Affairs for the development of Northeast India, especially Meghalaya. “My ministry has released Rs.127 crore under Article 275(1) of the Constitution to carry out various works as proposed by the Govt. of Meghalaya. 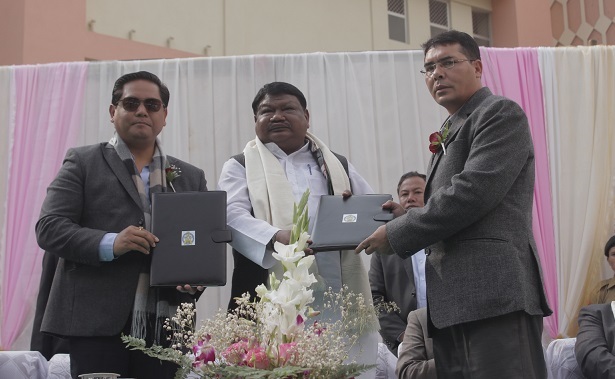 This year onwards, I have earmarked an amount to the tune of Rs.25 crore for extending coverage of Special Central Assistance to Tribal Sub Scheme (SCA to TSS) of the state of Meghalaya, which will definitely boost the developmental works of the state,” said Oram. He request Chief Minister to ensure that all the funds released by Govt. of India are being judiciously utilized for creation of durable community assets through a transparent process. “Right now for Meghalaya, my ministry has sanctioned 2 Eklavya Residential Model Schools (EMRS), which are under construction. As per the budget announcement of this year, Govt. of India is in the process of constructing Eklavya Model Schools in the Sub-divisions/blocks which have tribal population either 50% or 20,000 STs residing in that area,” he informed. Union Tribal Affairs Minister Jual Oram said 462 new Eklavya Residential Model Schools (EMRS) will be established in different parts of the country in the course of next 5 years. “Out of which 36 new EMRS have been proposed for the State of Meghalaya, which will get approval of the Union Cabinet very soon,” he added. He also urged Chief Minister to give priority for the development of horticulture, medical plants and other allied activities in Meghalaya. “We must try to give up shifting cultivation/jhooming, thereby striving for modern cultivation practices, thereby making agriculture more commercialized and viable. Our Govt. is laying big emphasis on the growth of MSME sector. That is why, the State Govt. should reap the benefits of these programmes,” he said.